If you have an Golden Retriever or Poodle dog lovers on your holiday shopping list, you need to see my dog breed jewelry at For Love of a Dog. Each piece is unique, handmade and like no other. 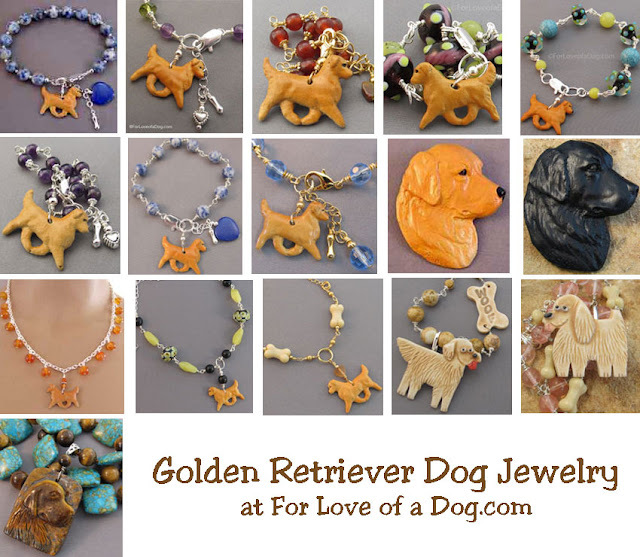 Perfect one of a kind Christmas gifts sure to please your favorite dog lover. Snag some bargains in my huge sale and you'll even get free standard shipping to US addresses. But, you'd better hurry. Some dog breeds are already sold out and there will not be more available in the future. Shown at top is my Golden Retriever dog jewelry collection. This happens to be one of my favorite dog breeds, so I've always had more selection in this one. Right now you'll find: 8 bracelets, 2 pins, and 6 necklaces. The Golden Retriever pendants and Christmas ornaments are sold out. Shown above is my Poodle dog jewelry collection. 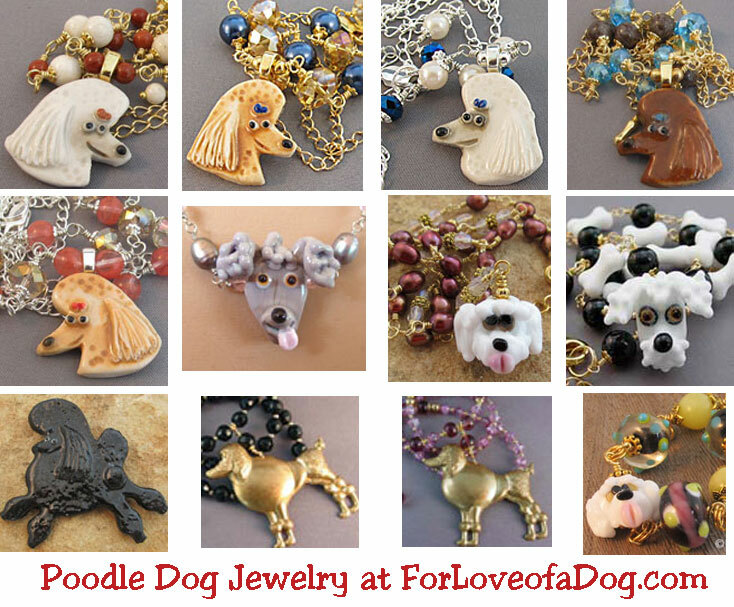 Currently available: 10 necklaces, 1 pin and 1 Poodle puppy bracelet. Right now there's still some variety in colors of dogs, including white, buff, blonde, chocolate, grey, and black. Remember, each piece is one of a kind and will not be made again. In fact, For Love of a Dog is closing, so there will not be more made at all. You're making me want to shop for myself which I shouldn't be doing before Christmas! Love the golden retriever pieces.